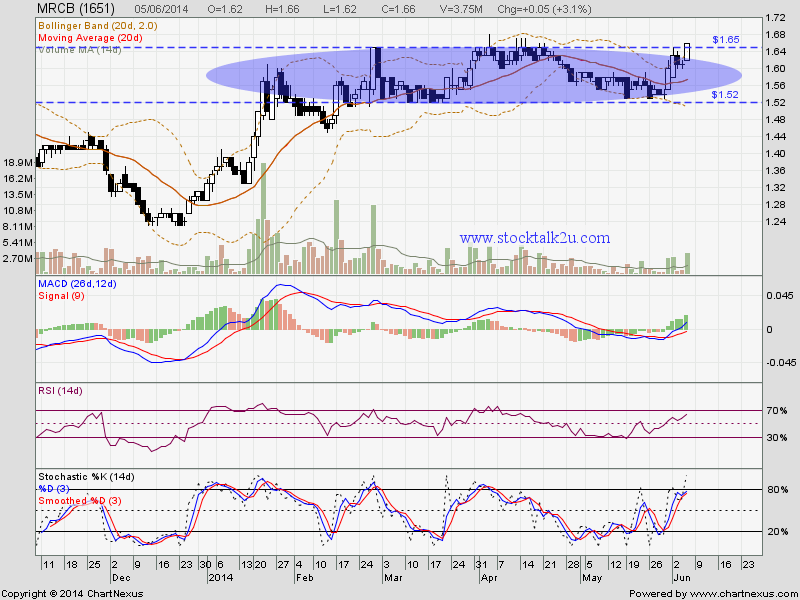 MRCB succeed breakout RM1.65 resistance? Stochastic %K on BUY call itinerary.. Immediate resistance @ RM1.80 level. Subsequent resistance @ RM1.90 level.